E-Z-GO golf carts, one of the top golf cart brands in the world, offers an exceptional line of golf cars ranging from personal golf carts to fleet, turf and food/beverage golf carts for the golf and hospitality industries. Receiving the coveted Shingo Prize for “Operational Excellence,” E-Z-Go golf carts are well known for their world-class advanced technology. 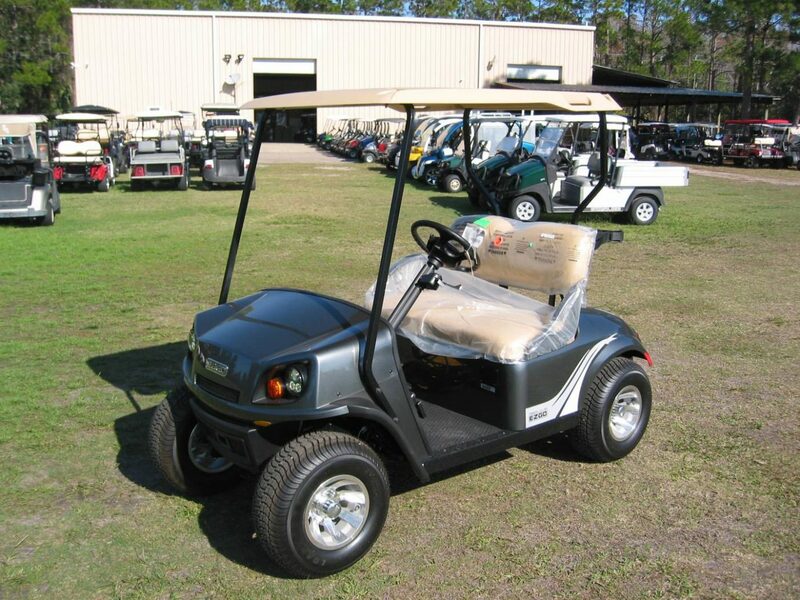 Gulf Atlantic Vehicles, the New Smyrna Beach area premier golf cart provider is Volusia County’s authorized factory dealer for E-Z-GO golf cars. We also offer hundreds of options and accessories to create the perfect custom vehicle to perfectly match your needs. You can, if you are dealing with a reputable, knowledgeable dealer such as Gulf Atlantic Vehicles, customize your E-Z-GO golf car in any number of ways. If your older parent or teenager will be enjoying the cart, safety may be your main concern. You can add a host of safety features, including rearview mirrors, brake lights, safety belts, turn signals, reinforced windshields with wipers. There are even headlights for night driving. E-Z-GO golf cars with roofs can have a roof rack, storage rack, and cooling fan. You can add anything from coolers to carpeting, to cup holders, extra seating, stylish seat covers, a GPS unit or stereo. Change up your tires and rims, tint your windshield, add brush guards…and even fender flairs and rocker panels! So get on the go…E-Z-GO. It’s EASY to get a quality, affordable golf cart that suits your every need at Gulf Atlantic Vehicles. Check us out at our convenient location on Pioneer Trail in New Smyrna Beach.